The book was first published in 1813. At that time, women were expected to stay home without a chance to get involve in politics or careers. Jane Austen herself was never given credit for being the author of any of her works while she was alive. Through this book, she illustrated the condition of women who had to marry for economic security and social status during the late 18th and early 19th centuries in England. Seriously, I pitied how women were treated back then. 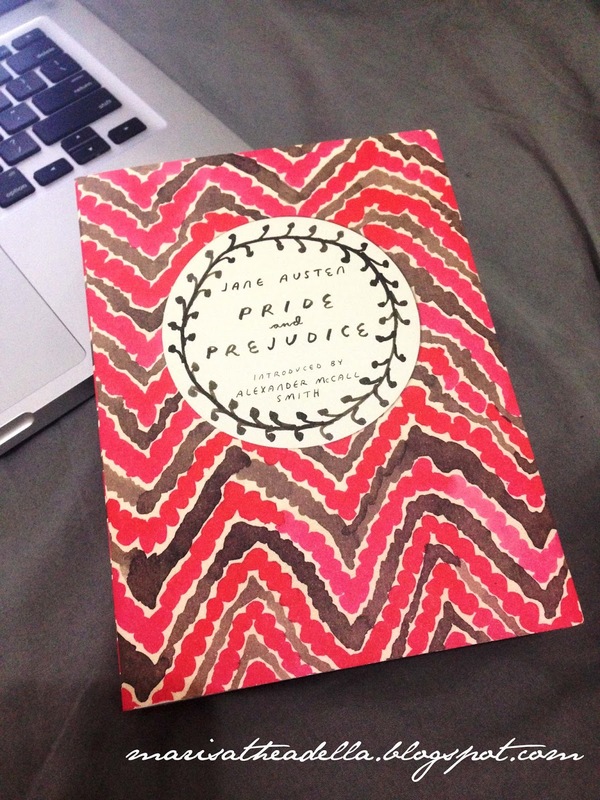 The main character of the story is Elizabeth Bennet, an independent, hardheaded, and outspoken young girl. She believes in love and refuses to marry someone just to get a better economic and social status. Her character resembles a modern woman- I personally think that she was born in the wrong era. Other female characters of the story are pretty sure typical England women at the time. Jane, Elizabeth, Mary, Kitty and Lidya are five unmarried daughters of the Bennets. Their mom is desperate to see them all married. Elizabeth or Lizzie misjudges a wealthy man named Mr. Darcy upon his appearance. She considers him as an arrogant person after refusing to dance with her in a ball. On the other hand, Mr. Darcy finds himself attracted to the charm and intelligence of Elizabeth. These two later meet several times due to the relationship between Jane and Mr. Bingley, Mr. Darcy’s dearest friend. Long story short, Elizabeth meets Wickham, a handsome young soldier. She finds herself attracted to Wickham who apparently is slightly related to Mr. Darcy. Wickham tells Elizabeth about Darcy’s cruelty in cheating him out of an inheritance. Keeping that story in her mind, Elizabeth refuses Darcy’s proposal of marriage when they meet again. She tells Darcy her thought about him, accuses him for steering Bingley away from Jane and blames him for disinheriting Wickham. Darcy leaves in silent. He later delivers a letter to Elizabeth, explaining that he steered Bingley away from Jane just because he thought Jane show no interest in Bingley. He also explains that Wickham is a complete liar and once attempted to elope with his sister. The letter has a big impact on Elizabeth’s feeling towards Darcy. After returning home for a while, she travels again with her relatives where they pass the Pemberley, Darcy’s estate. She knows that Darcy is away at the moment and decides to pay a visit to his residence, hearing how wonderful and generous he is from his servants. Out of her expectation, Darcy arrives and invites Elizabeth to meet his sister. When there is a problem caused by her sister, Lidya, and Wickham, Darcy generously helps the Bennets. Long story short (again- like, seriously it is a long story! ), Elizabeth and Darcy walk together where he tells her that his feelings have not altered since the spring. He proposes again and this time Elizabeth accepts his proposal. The character that I love the most is Mr. Darcy. He expresses himself more to show his love to Elizabeth. Every now and then, he helps her in so many ways and needs no credit for it. I hate Mrs. Bennet more than anyone in this novel. She practically makes her daughters’ marriages as a business. She is cheap and inconsiderate. 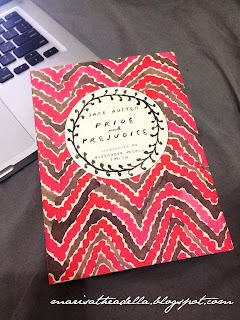 Jane Austen beautifully illustrated the essence of true love through her writing. The story could not have been more engaging. Those who read classics know that the language used can be very hard to understand, but I think Austen’s writing is not a whole lot different from the way we use the language today. The dialogue in the novel is delightful through out. The plots of the story remain relevant, no matter how many years go by since Austen had written it.